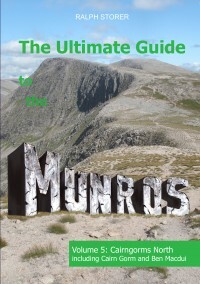 From the pen of a dedicated Munro bagger comes the Ultimate Guide to everything you've wished the other books had told you before you set off. The lowdown on the state of the path, advice on avoiding bogs and tricky situations, tips on how to determine which bump is actually the summit in misty weather... This comprehensive guide features detailed descriptions of all practicable ascent routes up all 18 Caringorms North Munros and 31 Tops, easy to follow quality and difficulty ratings, annotated colour photographs and OS map.